We’re mixing up some fun with a theme of Cookies! 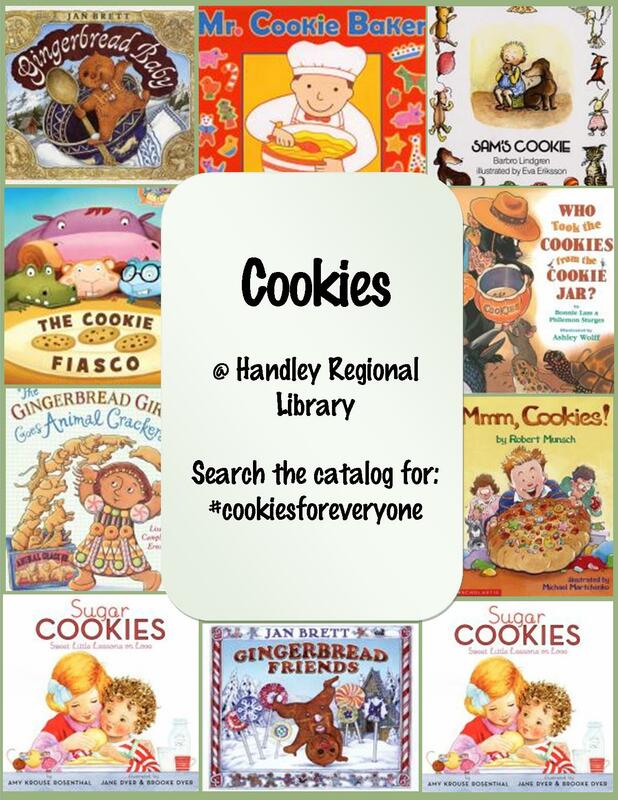 Enjoy tales of sweet treats at the Handley Regional Library! He took one…and away he ran. I am making cookie dough. Roll them, cut them nice and neat. (He/She) took the cookies from the cookie jar.